Ar. 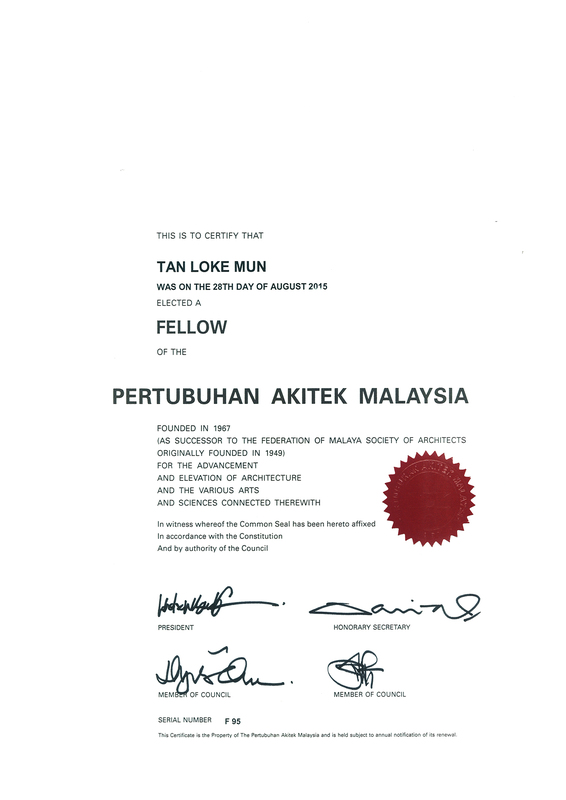 Dr. Tan Loke Mun was on the 28th May 2016 Selected a Fellow of the Pertubuhan Akitek Malaysia. Next Post Setia City Convention Centre (SCCC) featured in Architecture Malaysia Vol 28 Issue 2.